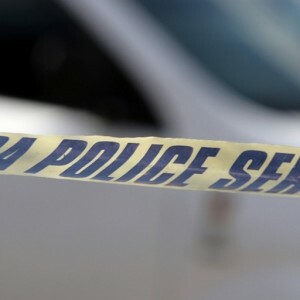 The most recent crime statistics released by the South African Police Service (SAPS) revealed that 19 016 murders were recorded in the 2016/17 financial year – 3 460 more than in 2011/12. Every day on average during this period, 52 people were murdered in South Africa. The situation may be better or worse now – but we cannot know, since this data is seven months out of date. However it does tell us that people in South Africa are 13% more likely to be murdered than five years ago. But who is the most at risk? Last week’s Black Monday highlighted the murders and attacks on commercial farms. Recently, the South African Local Government Association (SALGA) released research that highlighted the threats to local councillors. Also, we are frequently made aware of the numbers of police officials killed both off and on duty. Yet the number of murders of people in these high-risk professions represent around 1% of all murders annually. Given the rise in the murder rate, it is likely that most groups vulnerable to murder are facing increasing risks. But what do we actually know about murder in South Africa? Unfortunately not very much, as most of the information on the victims is held by the SAPS and not released to the public. What we do know about murder based on information in the SAPS Annual Report for 2016/17, is that men made up the largest proportion (82%) of murder victims with 15 547 cases. Women over 18 made up 2 633 (14%) of victims and 836 (4%) murder victims were children under 18. So on average 43 men, seven women and two children were murdered every day in 2016/17. In an attempt to find out more about the nature of murder, the SAPS undertook a docket analysis of 2 912 murders perpetrated during 2015. The study found numerous trends, including that half of murders took place over weekends – 26% on Saturdays and 24% on Sundays. Three in four (73.5%) took place between 6pm and 9am. A third (33%) were in urban formal residential areas, 23% occurred in rural formal areas and 22% in informal urban residential areas. One third (36%) took place on streets and roads, and 20% were committed at the victim’s residence. About 11% took place in open spaces and 9.5% in bars, pubs, shebeens or taverns. Seventy percent of murder victims were aged between 20 and 39, with most between 20 and 29 years. Knives were used in 36% of cases followed by firearms (31%) and other sharp objects (11%). The police managed to get a snapshot of the motives of murders in 1 727 (60%) of these cases, because they could identify a likely perpetrator (usually since there is a direct relationship between the perpetrator and victim). This means the results of the SAPS docket analysis cannot be generalisable to all murders. Of the dockets analysed by the SAPS, 51.5% of murders were committed during an argument or misunderstanding. Twenty percent were committed during another crime such as an aggravated robbery. Vigilantism accounted for 10%, retaliation or revenge 3%, gang violence 2% and other group or crowd conflicts such as taxi violence 1%. Where perpetrators were identified, the analysis found that three out of four were aged between 20 and 39 while half were between 20 and 29. Over one in 10 (12.4%) were aged between 10 and 19. Almost all perpetrators (96%) were men, and 27% had previous convictions. Sixty-one percent were unemployed, 31% employed, 7% were students or pupils and the remaining 1% were pensioners. Where relationships could be established, 70% of offenders were known to the victims. Where the perpetrator knew the victim, almost half (49%) were acquaintances or known by sight. It is unclear whether the other half were family or friends. Eleven percent of cases related to domestic violence. Detection rates for murders of women and children are slightly higher – 33% – than the average of 24%. This is probably because many of these crimes are investigated by a specialist unit – the Family Violence, Child Protection and Sexual Offences Investigation Service – and the victim knows the perpetrator. In the long term, the most effective way to reduce murder is to address the root causes of violence. Research shows that the risk of becoming violent is strongly linked to exposure to violence in the home and community, inconsistent care giving, poor role models, high levels of inequality, and substance abuse. Some murders, such as those that occur because of robberies or inter-group conflict, can be reduced by effective police work. The only way South Africa will be able to develop effective murder-reduction strategies is when detailed information about cases is made available by the police. The Institute for Security Studies has been calling for a forum to be established where all data and research findings from both state and non-state organisations can be shared and analysed. In this way, tailor-made, evidenced-based strategies could be developed to target those most at risk. Until we see violence reduction as a collective nationwide effort, and not something we should leave primarily to the police, we are unlikely to truly achieve improved levels of public safety. For more on the 2017 crime statistics, go to the ISS Crime Hub: https://issafrica.org/crimehub.